A report by Tim Mak at The Daily Beast has U.S. intelligence officials confirming that there are, indeed, concrete ties between the Islamic State and Nigerian jihadist terror group Boko Haram. Mak notes that intelligence officials had not previously confirmed any suspicions that Boko Haram and the Islamic State were working together. This shift in the official picture of Boko Haram’s ties to ISIS comes as Administration officials have also been obliged to admit that, far from being “degraded and ultimately destroyed,” the Islamic State is expanding operations into Afghanistan, Pakistan, Libya, Algeria, Egypt, Saudi Arabia, and even Israel. Rasmussen even said he believes they are muscling into Yemen, which is getting pretty crowded, as the government was recently overthrown by an Iran-backed, anti-American tribe, while parts of the country are dominated by al-Qaeda. These connections could have direct ramifications for U.S. policy. As Mak observes, President Obama is seeking authorization from Congress to use military force against the Islamic State and its “associated forces” around the world – a mandate that could actually grow more open-ended in the future, as ISIS allies with, or subsumes, Islamist militant groups in even more countries. 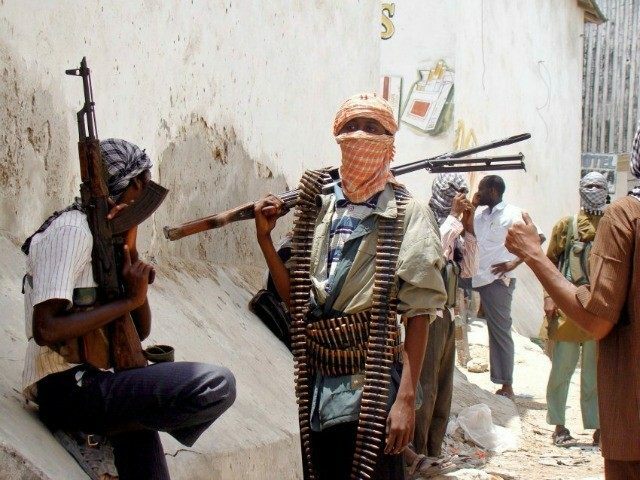 It has long been obvious to even the most casual observer that Boko Haram admires, the Islamic State; the African terror group has openly declared its intention to build a “caliphate” of its own, modeled after the one ISIS carved out of Syria and Iraq. It is not clear exactly what degree of active cooperation Rasmussen had in mind. His mention of “the ability to share resources, personnel, expertise and tradecraft in a way that serves as a multiplier to their own capabilities” suggests anything from strategy tips conveyed by email, to financial assistance or ISIS advisers sent to train and direct Boko Haram forces. The latter measure would be an obvious investment if ISIS is serious about nurturing Boko Haram as an African franchise; the Nigerian group certainly measures up to Islamic State standards of savagery, but falls short when it comes to battlefield tactics and grand strategy. Clearly the ideological ties between Boko Haram and ISIS are strengthening. Given the dearth of Western intelligence assets in either Syria or Nigeria, it will be difficult to establish just how strong their operational ties have grown.